To establish a recognised and admired private equity fund, with a clear point-of-difference, with the press and other key influencers. Position NorthEdge initially as the only fund that ‘lives, breathes and invests in the North’ – the North is their key focus, where their headquarters are, where they live and a region they truly believe in. 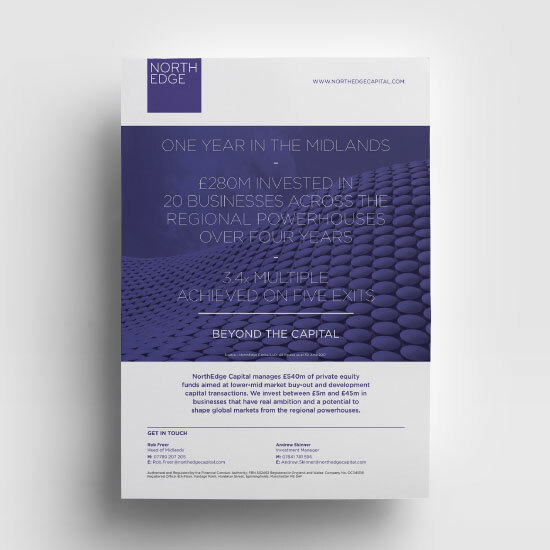 As NorthEdge expanded, opening an office in Birmingham, the messaging naturally evolved into ‘Beyond the Capital’ to accurately describe the reach of their second fund. 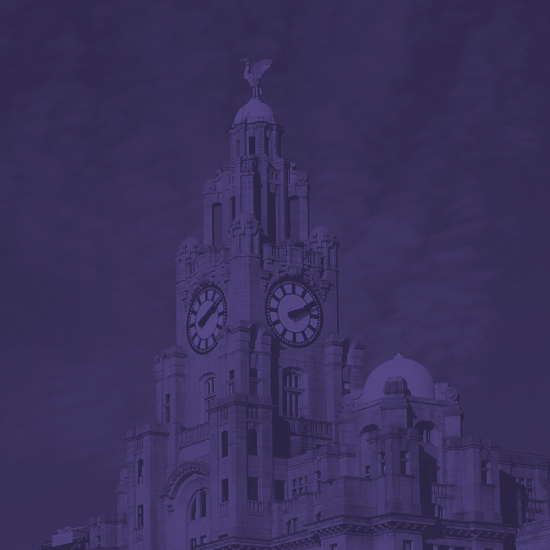 As well as communicating the evolution of the firm, our strategy included highlighting key deals and sector expertise, where NorthEdge’s partners and directors could talk with authority, and positioning the firm as a genuine thought leader outside of London. 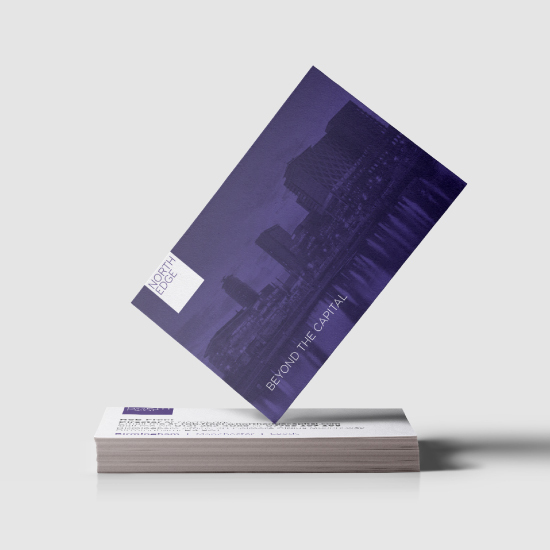 Development of a branding strategy from the creation of a new logo, the design and build of a mobile friendly website, office outlook and all other supporting marketing collateral. A media relations programme reinforcing the national and international significance of NorthEdge and the extraordinary portfolio company growth stories. 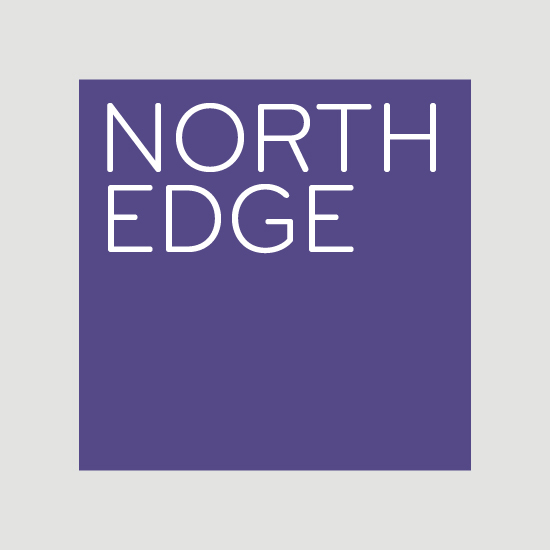 Positioning NorthEdge partners and investment directors as experts in the private equity press and as spokespeople on issues that affect UK businesses. Execution of an awards programme to showcase the incredible results that NorthEdge has achieved. Working with the founding partners to establish brand values and personality that drives all decision-making as the business develops. Promoting the firm’s support for local communities and charities including Manchester Business School and Maggie’s. The largest European private equity fund that was established post-2008. The launch and completion of two successful funds, totalling £525m. Fund II, which closed in 2016 at £315m, invested £85m in six companies in its first 18 months, representing c. 30% of the Fund. 6 successful exits including Utiligroup, Fine Industries and Ramsdens Financial. 11 award wins including Small Buyout House of the Year at the 2017 Unquote British Private Equity Awards. Media relations campaign including extensive coverage in the Daily Telegraph, Manchester Evening News, Regional Business Insiders and key private equity publications. A positive champion of the North becoming a Northern Powerhouse official partner and active supporter of Northern initiatives.